Xtract Universal supports a number of environments as the target for the data extraction. In addition to analytics, BI, cloud solutions, different databases are among the supported target environments. *and some more. In addition, data streams are also provided in other common formats, such as OData, CSV, and HTTP, to facilitate access to target environments that are compatible with such formats (for example, Excel, Access, Tableau and a large number of third party software producers and OEM partners). The architect or power user decides on the degree of automation. In the simplest case, the SAP source object is replicated in the relevant target environment, where it is compiled automatically together with all its metadata. The data types are transferred with as few changes as possible. Standardized conversion routines (for SAP date fields, for example) guarantee quick results and provide the architect with the best possible support. This, of course, is also the case for updating deltas, that is, data that has changed since the last data extraction. If desired, every detail of the transfer process can also be managed. 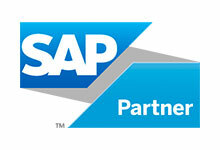 This means that the architect can choose to adjust the user and metadata from the SAP source as they wish already during the data transfer process– this can include simple type conversions or format conversions, as well as master data historization, quality checks, and individual routines for updating incremental data. All of these processes are mapped using the relevant SQL dialects for the target systems and a powerful, in-house script language. Depending on the architecture, other target system options can also be utilized, such as Macros or more complex procedures.